Legends in 3D was a company that produced a number of statues based on Star Wars and other properties in the late 90s. 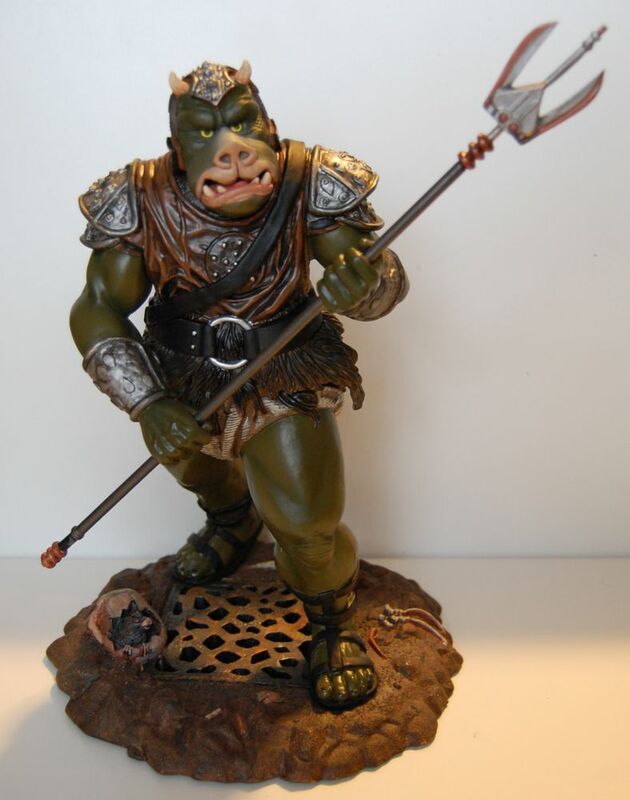 This Gamorrean Guard statue is about 12″ tall including the base, so it’s smaller than the Hasbro or Sideshow Gamorrean figures, but still in the same general neighborhood. The paint job leaves something to be desired, however. I’m not sure if this comes through in the photos, but it just seems kind of simplistic and lacking in nuance and generally seems more like what you might see on an action figure than on a high-end statue. It’s not even in the same universe as the Attakus Gamorrean Guard statue. And the sculpt also seems off to me. His face is more dog-like than piggish, and his body seems too muscular and not fat enough around the stomach. 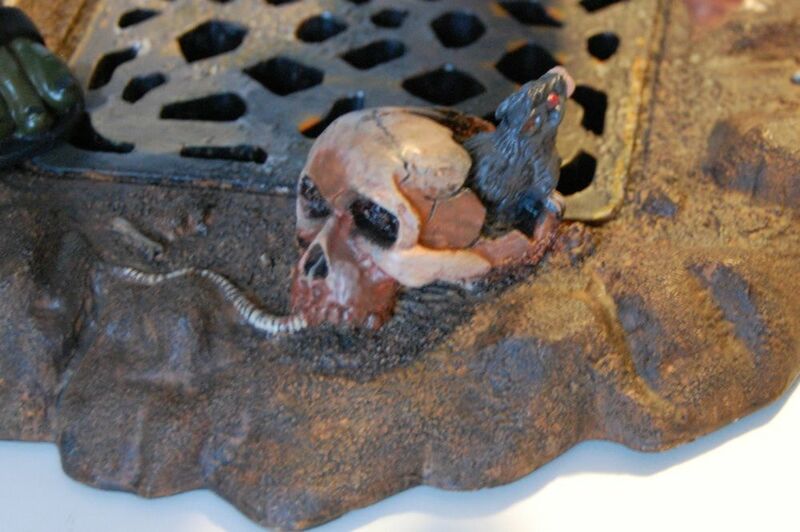 I do sort of like the base, which includes a grating similar to that above the rancor pit, and a rat inside a skull. I got a pretty good deal on this statue, which is why I finally broke down and bought it, but there is little reason for anyone who isn’t an obsessive Jabba (or Gamorrean Guard) fan to buy this statue at this point. 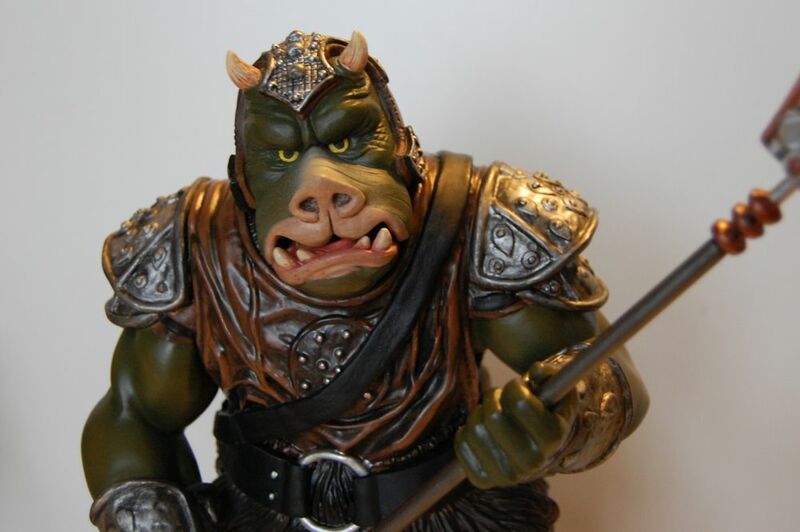 If you want a nice Gamorrean statue, get the Attakus version. And if you want something a bit smaller and affordable, get the Sideshow figure.